In the short amount of free time I have each evening after I go to the gym, I have been reading a fantasy book series “Malazan Book of the Fallen”. I am currently on book 4 of 10 and am really enjoying it. The writer Steven Erikson has created a really dark world that is pretty fascinating. The series started slow – I didn’t really get into any of the characters for the whole first book but its really picking up speed now. When I was a kid, I used to read huge amounts of books. Pretty much all I did with my time – it was a great escape for an unhappy boy. I had really cut pleasure reading out of my life over the last five years as I’ve been so busy trying to get my business going and reading tech books and business books, but now I’ve decided to take a little break and read a few pleasure books again. Quite fun! Do you need custom developments for your Magento website? If so, then you probably already know that choosing a Magento developer can be a daunting exercise. 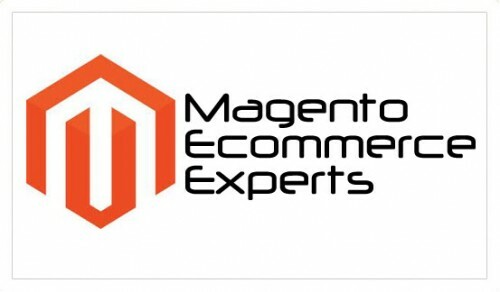 If you visit the Magento Partners webpage, you’ll find a seemingly endless collection of listings for developers who promote themselves as your best choice. But not all developers are going to give you the results you’re looking for. My design and development firm is constantly working with clients to repair the damage done by other developers, so before you settle for just any company, consider some important factors. Is the Developer a Magento Partner? This one might seem obvious, but it’s very important to hire an actual Magento partner. Don’t just hire some developer who claims to have experience working with content management systems. Magento partners understand the system inside and out, from setting up custom payment options to optimizing shopping cart preferences. Magento partners are approved by the company, and are monetarily invested in the company, so you have the confidence of hiring someone who definitely knows what they’re doing. Does the Developer Have Extensive PHP Programming Experience? Magento is a PHP/MySQL-based framework. So any programmer who wishes to make the most of Magento’s customization features will require an intermediate knowledge of the PHP scripting language. When you choose a Magento Partner, this shouldn’t be a problem, but it’s still important to inquire about your potential developer’s level of experience. One way to more accurately gauge a developer’s experience and expertise is to actually view his Magento portfolio. See the kinds of custom developments that your would-be programmer has already completed using Magento, and decide if you like what you see. You wouldn’t hire someone to paint your portrait without first seeing their previous work, would you? Before hiring a developer, get to know her. Ask questions, explain your exact needs in vivid detail and learn the developer’s exact plan for helping you to realize your goals. This interaction will help you to determine if you’ve found the right person. If you have any reservations, ask more questions or consider speaking to different developers. When choosing a Magento developer, don’t just look at the obvious requirements, like Magento partnership and PHP experience. There are plenty of developers who can fill these needs. If you want to choose a developer who really goes above and beyond, consider their qualifications beyond mere Magento experience. For instance, will your Magento developer continue to work with you after the developments have concluded? Does he stand by his work? Will he make necessary adjustments even after the site has launched? Can he offer additional services like design or SEO? Consider the assets that go above and beyond the essentials, and you should find it much easier to choose your ideal Magento programmer. I realize that choosing a Magento programmer is a huge decision, but I would encourage you to give Coalition Technologies a call. Out of respect for full disclosure, I am the owner and president of Coalition Technologies, but Coalition isn’t just another Magento partner. Our full time, Los Angeles-based team consists of developers, designers and SEOs, all of whom have extensive experience working with Magento for some of the largest companies in the nation. But I’m not asking you to blindly hire Coalition Technologies. Give us a call at 888-800-9101 for a free quote. We’ll answer all of your questions and let you know exactly what we can do for you. From there, the choice is yours, so you have nothing to lose. Give Coalition a call today. My week this week has been quite long but I’ve learned a lot. Christopher Guy is a high end furniture manufacturer. The Spinner Nxt is a great home version of the commercial line of Spinning bikes. I’ve also seen some interesting material about discount diamond cut solitaire engagement rings. An eCommerce store is only as good as the engine that drives it. As the founder and president of one L.A.’s most successful design firms, I have seen firsthand how a client’s chosen shopping cart solution can make or break the success of a business. So when choosing a shopping cart platform to host your website and product line, you will want to consider all of the variables involved. Shopify and Magento are two of the most successful eCommmerce platforms available. Each service offers an impressive array of worthwhile features and functions, including built-in SEO capabilities, slick templates and conversion-friendly marketing tools. But when it comes to issues like price, customization freedom and overall value, there are some vast differences. When it comes to price, Shopify is usually the better value for smaller businesses. Magento has several editions—including Magento Enterprise, Magento Community and Magento Go—to accommodate different needs and budgets, but Shopify’s plans offer more space and bandwidth. Magento does have a free version, called the Magento Community Edition, but the features are so stripped down that it’s hardly worth your time. Take note, however, that Shopify charges a 2% transaction fee, so if you have a high quantity of transactions, you may want to go with Magento. When determining the value of a product, it’s important to weigh the price against the available features, and the cheapest option may not necessarily be your best option. While Shopify offers more generous pricing overall, a few of the features are only available for upgraded plans. This is true of Magento as well, but on a smaller scale. For the most part, Magento Go has everything you need right out of the box. So there’s no definitive answer as to which platform has the better features, but make sure to read what’s included before settling on any individual plan. When it comes to customization, Magento has the upper-hand. Magento is a PHP/MySQL-based framework with almost endless customization capabilities. Anyone with a basic understanding of PHP programming should find it easy to customize pages. Shopify, on the other hand, is a hosted, software-as-a-service (SaaS) solution, which means you won’t have access to as much of the source code, but you can make a lot of cosmetic customizations within the pages themselves. If you’re looking for the simplest, most straightforward platform available, go with Shopify. Magento is an extremely powerful and versatile engine, but with that power and versatility comes a higher level of complexity. Shopify is meticulously designed so that anyone can use it with ease. Setup is a snap, and no technical knowledge is required. Both platforms offer excellent support, but Shopify has the overall advantage. That’s because Shopify offers phone support with all of its plans, while Magento does not. If you use the Magento Community Edition, or one of the cheaper versions of Magento Go, you are not eligible to receive phone support. All Magento plans are eligible for email and forum support, however. There’s no definitive answer as to which shopping cart platform is better, because each is suited to different needs. If you run a large, thriving online, or if you just want full customization freedom, your best bet is Magento. However, if you just want your platform to be affordable, simple and user-friendly, with excellent support, go with Shopify. Each platform offers a fully-functional free trial, so try them both on for size and see what works for you. If you run an online business using Shopify, a blog is a great way to increase traffic and drive new business. In fact, a well-written, regularly-updated blog can make a huge difference for your bottom line. As you’ll see, this is confirmed by research, and in my own experience as the founder and owner of one L.A.’s most successful design and development firms, I have seen the results myself. Shopify, while a great shopping cart provider, doesn’t make it easy to incorporate a fully-functional blog by default. The solution is to incorporate a WordPress blog into your Shopify site. 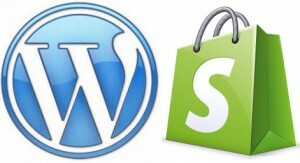 Shopify WordPress integration requires a bit of extra work, but it’s well worth the payoff. WordPress remains one of the simplest and most user-friendly blog providers available, With easy article management, picture and video integration, publication scheduling and SEO-friendly development, WordPress is as good as it gets. Best of all, the service is free to anyone to enjoy, and it’s fully customizable. As previously mentioned, blogging can have a powerful impact on the success of your business. The company Hubspot conducted a study of businesses with blogs vs businesses without blogs, and uncovered some really fascinating numbers. The study looked at 1,531 websites, 795 of which used blogs, and 736 of which did not. Most of the websites were for small to medium-sized businesses. Hubspot discovered that sites with blogs had an average of 55 percent more visitors, 97 percent more inbound links 434 percent more indexed pages than the sites that did not feature blogs. Those are some pretty staggering numbers. Since Shopify doesn’t offer built-in WordPress management, you will need to create your WordPress blog outside of the Shopify system. After setting up your Shopify store and your WordPress blog, you will want to integrate your WordPress blog into your Shopify site, and not the other way around. When it comes to integration, there’s an easy way and a hard way. The easy way is to visit your Navigation page in your Shopify admin, click “Edit Link List” and manually add your blog URL. The hard way is to set up a CNAME record, like blog.mystore.com, whereby you transfer your blog hosting to a subdomain on your Shopify site. At Coalition Technologies, our design and development experts have been building sites on the Shopify platform for years. Additionally, Our expert marketers know how to use blogs to their fullest potential to drive traffic and increase revenue. Let us handle your Shopify WordPress integration. We’ll build your site that so that your blog works seamlessly with your eCommerce store for the maximum benefit. Depending on your needs, we can also help you to implement custom designs, improve your search engine presence or even build an entire online store from the ground up. Call us at 888-800-9101 for a free quote. Volusion and Shopify are two of the most successful shopping cart platforms available, and they both have a great deal to offer. If you sell products or services online, you need an eCommerce service that is user-friendly, secure, fully customizable, search engine optimized, and built to convert. As the founder and CEO of a highly successful Los Angeles design and development firm, I’ve worked with all of the major shopping carts, and I’ve had successes with most of them. When it comes to Volusion vs Shopify, either platform will provide you with a powerful array of tools and features, but each has its own pros and cons. Shopify offers four separate plans, and Volusion offers five. Volusion plans start at $19 per month, while Shopify plans start at $29 per month. It’s worth, noting though, that Volusion charges no transaction fees, while Shopify charges transaction fees for all but their most expensive plan. Additionally, if you want the freedom of listing an unlimited number of products, it will cost you $179 with Shopify and only $149 with Volusion. The winner: Volusion. Volusion and Shopify both make setup ridiculously easy. Simply sign up and follow the on-screen prompts to set up your domain and start building your store. While other platforms, like BigCommerce, tend to make the setup process needlessly convoluted, Volusion and Shopify make it easy for even a complete web novice to create an attractive, fully-functional store in minutes, complete with custom designs, product listings, promotions and more. This one is a tie. Shopify and Volusion both allow you to create the store of your dreams by selecting pre-designed templates, or by integrating your own custom designs. If you lack coding and design knowledge, and want to stick with the default layouts, you’ll definitely want to go with Shopify. The Volusion designs are less polished, less professional, and more reminiscent of WordPress themes, while some of the Shopify layouts are absolutely stunning. The winner: Shopify. Almost every shopping cart platform now has an app marketplace where you can download or purchase extensions and add-ons for your store. For instance, you might customize and personalize your site with everything from maps to 3D image generators. The Shopify App Store and the Volusion Exchange both offer an impressive array of add-ons, but the Shopify App Store currently has a greater selection of more useful offerings. The winner: Shopify. Both Volusion and Shopify are designed with SEO in mind. Featuring search-optimized navigation structures, auto-generated sitemaps, and the ability to quickly create title tags and meta descriptions, either of these platforms will serve you well in the SEO game. When it comes to marketing, though, Volusion has the upper hand. With a built-in newsletter system, direct social media integration, similar product recommendations and more, Volusion is easily one of the best platforms available for marketing. The winner: Volusion. When it comes to support, Volusion offers three options for customer service, 24 hours a day. Contact them by phone, chat or email, and even receive personal, live coaching from one of their representatives. Shopify has limited customer service hours, and don’t even try calling them on Sundays. The winner: Volusion. Ultimately, it boils down to your personal preferences. What exactly are you looking for in a shopping cart platform? Are you concerned with price? Customization freedom? Marketing? If you’re still weighing Volusion vs Shopify, check out the free trials and decide which platform works best for you. Shopify offers a 30-day free trial, and Volusion offers a 14-day free trial. If you’re looking to take your online store to the next level, consider partnering with a firm that specializes in custom design, development and marketing services using Volusion and Shopify. At Coalition Technologies, our Los Angeles based designers, developers and SEO gurus have worked extensively with all of the major platforms, and we have led clients to new heights of online business success. Visit our website or give us a call at 888-800-9101 to receive a free quote. There are a lot of shopping cart platforms out there, and as the founder of a leading Los Angeles web design and development agency, I have used them all: BigCommerce, CoreCommerce, Volusion, Shopify, Magento, you name it…But choosing the best shopping cart platform can be tricky, because they all promise you the stars, but many fail to deliver. 1) What are real users saying about the platform? You’ll learn far more from the experience of actual users than you’ll learn from the promises made on a shopping cart website. Always shop around and read consumer reviews before settling on an eCommerce platform. 2) Does the company offer a free trial? Most of the major shopping carts offer a 14-day or 15-day free trial. While this won’t paint a complete picture, it will allow you to get your feet wet and gain a feel for the company. You can check out the designs, the features, the tools and the overall user-friendliness of the content management system. 3) Does the company charge transaction fees? Sometimes the listed cost of the service isn’t the actual cost of the service. Beware of companies that charge transaction fees, because these can add tremendously to your monthly bill. Companies like BigCommerce and Volusion allow you to conduct business without transaction fees, and many companies even waive setup fees. There are other questions to consider, of course. For instance, how much does the service cost each month? How many products can you list? How many features does your plan include? Don’t just look at the “Features” page. Find out what each membership plan actually entails, and compare your options based on the cost-benefit analysis. If you’re looking for a personal recommendation for the best shopping cart out there, I would advise going with BigCommerce for your shopping cart needs. With amazing pre-designed templates, no transaction fees, and the best partnership program available, BigCommerce is your #1 shopping cart solution. If you’re not convinced, check out their 15-day free trial and take it for a test drive. I’m confident you won’t be disappointed. My design and development firm, Coalition Technologies, is a certified BigCommerce partner, so if you need custom design, development or SEO work, give us a call at 888-800-9101. We’ll give you a free quote and let you know exactly how we can take your eCommerce business to the next level. BigCommerce selected us as a partner because we understand the platform inside and out, and our full-time development, design and marketing teams are some of the best in the business. We also have partnerships with Shopify, Magento and Volusion, so if you decide to go with one of these companies, we can help you to build your business online. Call us today.